Controlling costs is a big focus in designing plans for the project’s second phase. The MTA has been criticized for high construction costs compared to those of other cities like Paris and London, and a Regional Plan Association report on the Metropolitan Transportation Authority’s construction costs noted that the agency failed to ramp up work on phase two as phase one was winding down. The project’s first phase of took eight years and cost $5.5 billion for the addition of three miles of track. 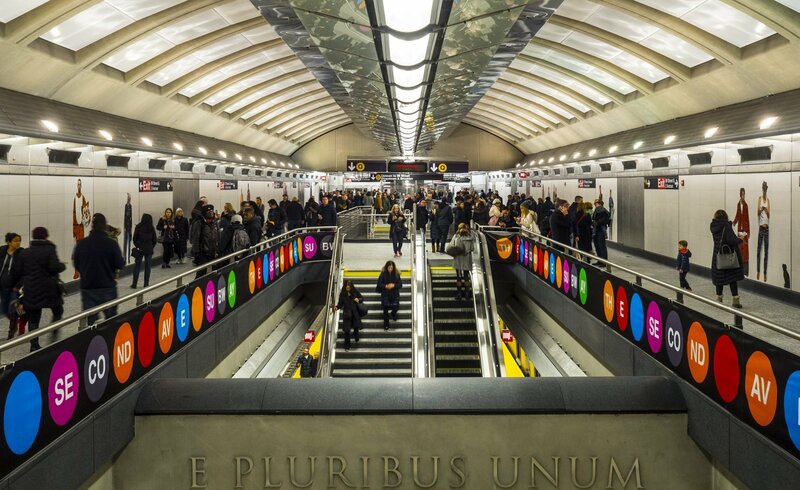 MTA board members have formed task forces to evaluate ways to bring costs down, including using a single contractor to design and build the project and cutting down on customized designs. Early estimates reveal the second phase could cost $6 billion. 6sqft recently reported that the project’s first phase has helped ease traffic on the Lexington Avenue Line according to data. The MTA released updated ridership figures for 2017, giving an even better look at how the Second Avenue Subway is growing in popularity and impacting the Lexington Avenue line. MTA officials have already begun preliminary phase two work with early design work set to finish by fall. Contracts for tunneling and building the structures are scheduled to be awarded in the first part of 2019, with hopes for a full funding deal with the federal government by the end of 2020.